The South West corner of Michigan is home to several wineries and tasting rooms within minutes of upscale comfortable lodging at great bed and breakfasts. Spring is coming. The wineries are gearing up for another busy season of travel, tours, and tasting. Enjoying some great Michigan wine and pairing it with a great Michigan Bed and Breakfast is a match made in Michigan. April is a good time to start your trip, but activities along Lake Michigan are abundant year round starting near Saugatuck in Fennville. April is Michigan Wine Month. Starting April 5 there is a pre-release wine maker’s celebration at Fenn Valley Winery in Fennville. April 12-13 and April 26-27 include a wine pairing sampling sponsored by the winery. Taste the pre-release wines the way they should be tasted – with food. Each course is paired with a Fenn Valley wine specifically chosen by the chef and wine maker to enhance the dining experience. Call or sign up online. Space is limited. Reservations are required. The winery is sponsoring lunch with the winemaker on May 3 and girls afternoon out on May 10. Lunch is a 3 course meal paired with Fenn Valley wines. The girls afternoon includes easy to follow cooking techniques with the chef while enjoying lunch paired with wine. Both events promise to provide fun while learning about wine making and how to choose the appropriate wines to go with your meal selections. June 21 marks the best attended event of the season at Fenn Valley Winery with over 1,200 people served in 2013. Tastings, tours, and demonstrations are included with a pairing of food and wine while enjoying live music. Attendees are invited to bring lawn chairs to enjoy a picnic on the lawn while sampling local wine and ethnic foods. Check the calendar for special winery events or come by anytime for tasting and shopping on your own, then stay at a local bed and breakfast. J. Paule’s Fenn Inn is located just a few minutes from the winery. 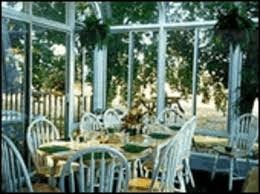 The inn is situated on 2 acres that have flower gardens and shade trees along with seating, picnic tables, and a fire pit for guests’ enjoyment. 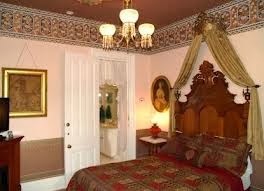 7 guest rooms provide lodging accommodations for romantic couples and girlfriend getaways. Some rooms are also pet friendly. Special packages at the inn may coincide with your travel plans to give you a deal on lodging or local activities. Romantic getaway packages may add to your SW Michigan travel experience. This entry was posted in Spring and tagged J Paules Fenn Inn, Michigan Wines, Spring Getaway Ideas by admin. Bookmark the permalink.